On June 5, city council chose Jacques Viger as the first mayor of Montréal. 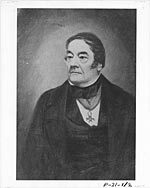 Born in Montréal in 1787, Viger was well known as a road and bridge inspector at the time of the 1833 election. As an archeologist, journalist and historian, Viger left many writings. Throughout his life, he assembled a wealth of documents, portraits, sketches and plans that filled several volumes titled “Saberdache” (large wallet attached to the belt of a knight). He was also responsible for the enumeration of the island of Montréal in 1825. He was one of the founding members of the Société Saint-Jean-Baptiste in 1834. He founded the Société historique de Montréal in 1857, one year before his death. The very same day that Jacques Viger was elected mayor of Montréal, city council adopted a series of administrative by-laws, as well as ordinances to improve cleanliness in city districts. The first coat of arms of Montréal and the motto “Concordia Salus” were adopted on July 19, as proposed by Viger. The emblems of the main ethnic groups in Montréal were given prominence. 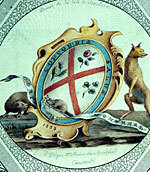 The rose represented England, the thistle referred to Scotland, the clover corresponded to Ireland, and the beaver, as the emblem of French Canadians, was replaced by the fleur de lys in 1938. The first charter, granted for an initial period of four years, was not renewed in 1836. 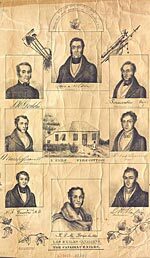 In view of the heated political climate of the 1830s and the leanings of certain councillors toward the growing patriot movement, the government of Lower Canada once again entrusted the administration of Montréal to justices of the peace. The following year, martial law was proclaimed, and the constitution of Lower Canada was suspended. Up to 1840, the province was under the leadership of the governor general and a special council appointed by the Queen.